“My intention was not to simply add more events to the calendar, but to use some events that were already there and combine them into something different,” said Whibley. “I was looking at what younger guys need for when they venture overseas and some of the events in New Zealand were not really preparing them for what they’ll face. “Racing over farmland is not really the same thing as riders will hit when they get to America or Europe. Forestry courses more accurately reflect what they will strike,” said Whibley. This Saturday’s sixth and final round of the 2018 edition of the Yamaha NZXC Series is scheduled for the Pureora Forest, near Waimiha and Benneydale, a venue that should test even the most skilled and resilient of riders. Yamaha ace Callan May leads the series after the five rounds thus far, the electrician from Titirangi in impressive form and a massive 36 points ahead of Whanganui’s Seth Reardon (Yamaha YZ250FX) at the top of the Yamaha NZXC standings. The 26-year-old May took his Yamaha YZ250FX to win the first two rounds of the series, but he was then forced to settle for runner-up finishes, both times behind friend and rival Sam Greenslade at the two rounds that followed, at Woodhill Forest and Matata, in September and October respectively. Is will be that same style of strength and tenacity that should enable May to clinch the series’ main trophy this Saturday afternoon. 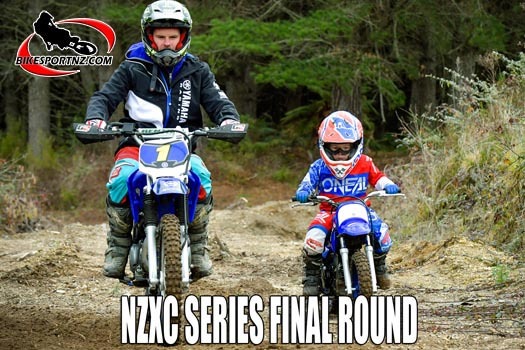 The venue for this weekend’s finale is 741 Ongarue Stream Rd, Waimiha, with the 90-minute combined junior and mini bike race set to blast off at 9.30am, followed by the two-hour senior race at 12 noon.